We have two Activity Nights set up. The first is 222 Tuesday. We just get on the air and talk to whoever is there starting at 8PM local on 222.1 give or take. The second is 432 and up on Wednesday also at 8PM local. Meet first on 432.1 and talk to whoever. Neither of the activity nights is a net; just a chance to put RF in the ether and exercise our radios. On Wednesday we scatter to all the higher bands that anyone has on the air. We expect most of the activity to hit 432 and 1296 which covers what most folks have. We will also cover all the bands up to about 10 GHz if any stations have the desire and equipment. A fair number of folks are using FT8 on Monday evenings on 144.174 starting around 7:30PM local. If you have the capability, come join the fun. 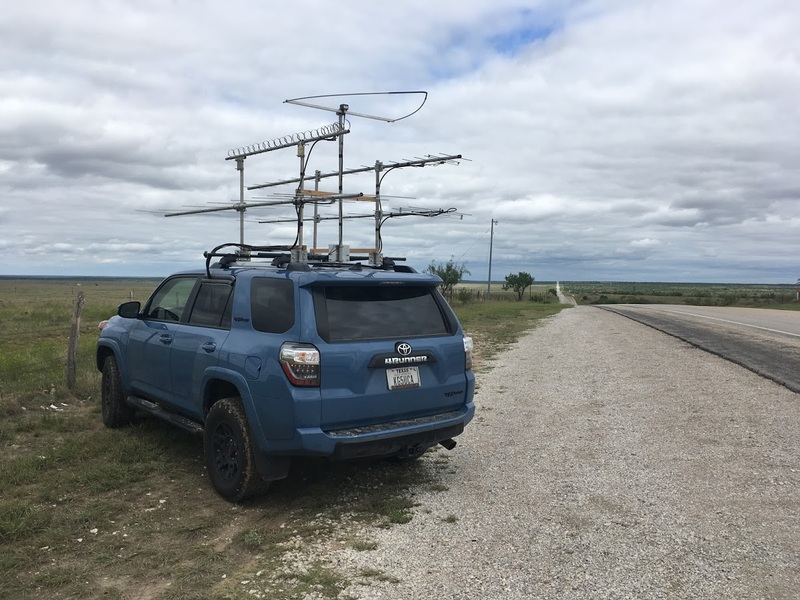 The Roadrunners Microwave Group (RMG) is an organization of radio amateurs located primarily in the southern half of Texas (although membership is not restricted by geography). The focus of RMG is on operation and the technical aspects of microwave communications. RMG was created to promote operation on amateur bands above 420 MHz. Increasing activity on the bands above 420 MHz within any geographical area requires the involvement of myriad amateur radio operators, and this group provides a focal point for such an effort. We have expanded our emphasis to cover all of the bands above 50 MHz, but especially the bands 50 MHz through 10 GHz. The only requirement to become a member is to express your interest and join us for meetings. There are no dues or forms to fill. The member page is under construction but will soon contain name, call, and bands for those who are members. Monthly Meetings – RMG Members meet on the first Saturday of every month at Maudie’s Hill Country restaurant. Come join us for a Tex-Mex breakfast or lunch beginning at 11AM, followed by our monthly meeting as soon as our meal orders have been taken. Basically, we now start the “business” part of the event somewhere around 1115. Meetings are held in an upstairs room reserved for RMG. August Meeting: 3-August-2019 — Likely part of Summerfest. We should start thinking about how to handle it!